Come join the Alpha Xi Chapter in preparing for recruitment! 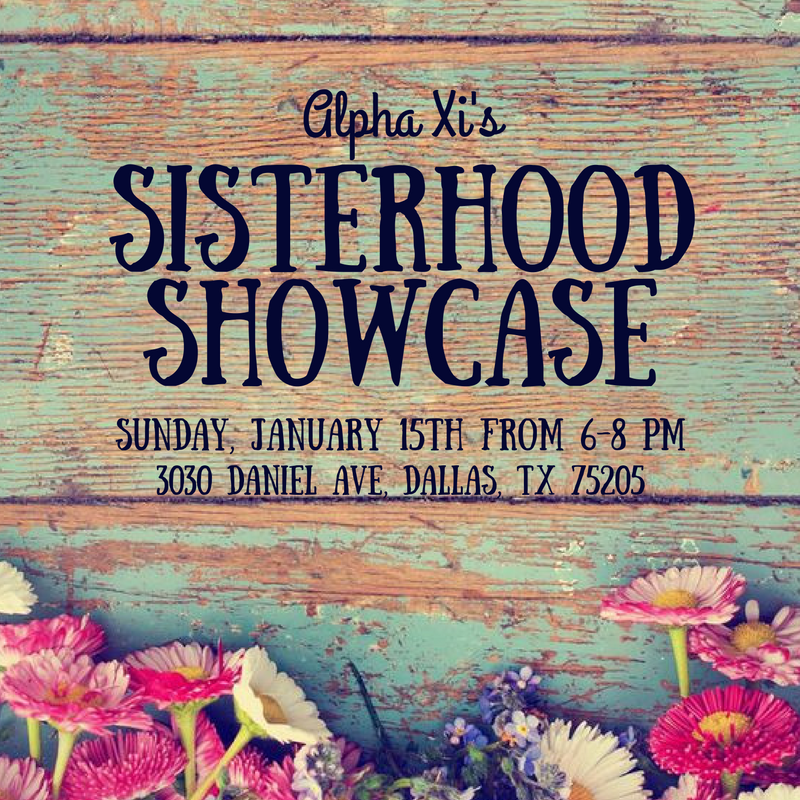 They will be hosting alumnae to come preview their new recruitment sisterhood video, show off their songs and chants, and share some snacks and sweets! Questions? Contact Stephanie Chung at 214-577-8618.